What started as a quick grill fitting turned into a bumper off, radiator clean up and a general tidy up. I also took the opportunity to add a little colour to the black surrounds of each opening, what do you think? Personally really pleased at how it’s come out, matches the callipers perfectly. 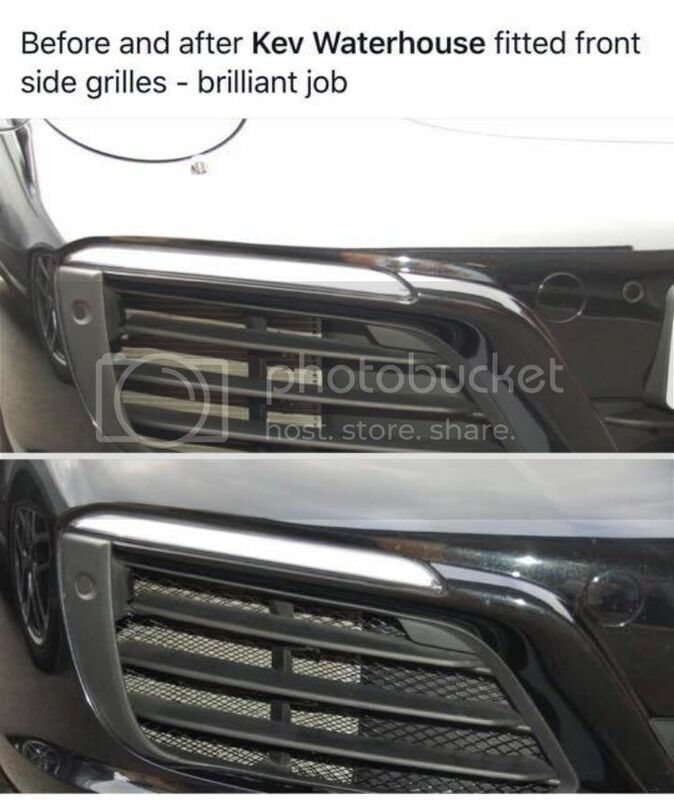 looks good mate what grills are they Zunsport's? They look great. Have a got a picture showing the whole car please? Looking to get some myself. Milo tell me about the red trim what you used how it fitted etc. Behind the two side and centre openings there are black plastic trim pieces attached to the bumper (as per picture below) After taking the bumper off I simply removed these, cleaned and degreased them, sprayed with plastic primer and gave them the once over with post office red paint and put them back in. I think it adds a touch of colour but in quite a subtle way and ties in well with the callipers. how big are the gaps between the holes? 1cm x 1cm? if you wanted to do a DIY job on this what material should you be getting? 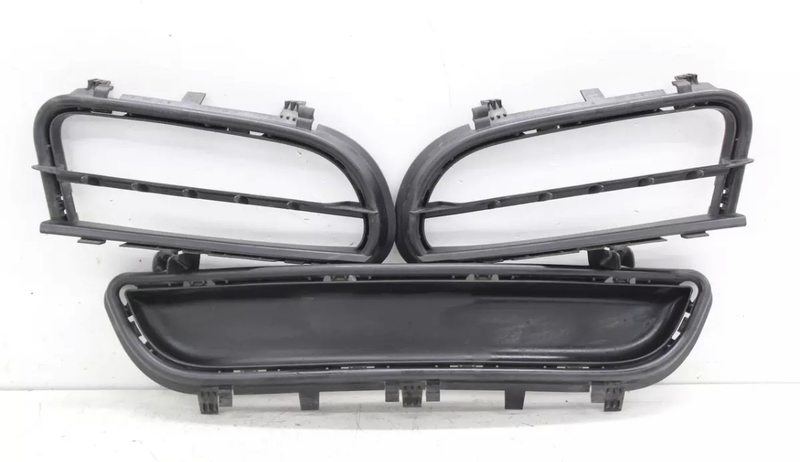 sth that is satin black and not too big gaps and then cut to fit once bumper is off. The holes are probably smaller than 1cm x 1cm. I looked at making something myself as there are sheets of similar material in ebay, but i’m glad I didn’t. The Zunsport’s are a perfect fit and look great, i’m not sure I could have made something myself look as good. The kit was about £180 after discount and well worth it in my opinion. These look ok on the Gen 1, but I’m still not convinced about the Gen 2 equivalent. I bought some and doubt I’ll ever fit them. Nice one who did you get the zunsport kit from? Design 911? I also think that they don't look right on the 997 Turbo as they sit in front of the "fins". 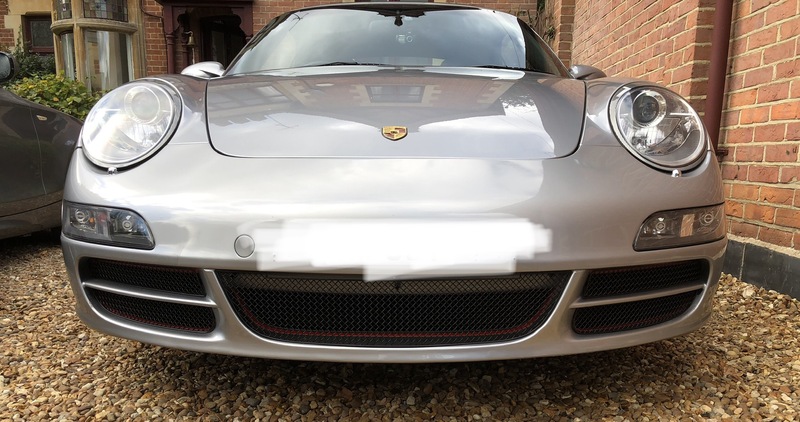 Has anyone with a Turbo ever fitted the Rennline kit https://www.design911.co.uk/fu/prod128377/Rennline--Front-Bumper-Wire-Mesh-Grill-Kit-Porsche-997-Turbo-05-09/ and if so, do they sit behind the bumper (and fins)? I thought that, but then the pics seem to be of an N/A car rather than a Turbo? DW performance near Northampton have a solution that sits behind the grills.